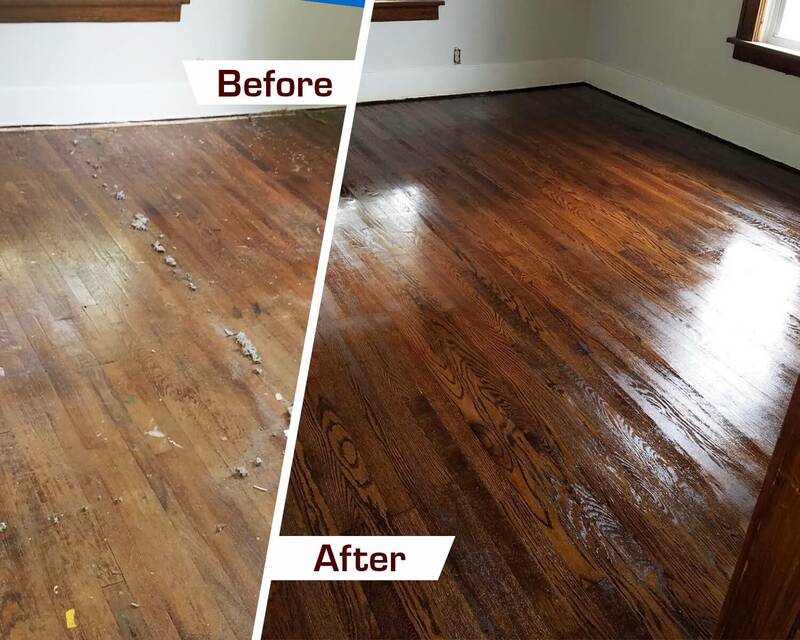 Revamp Your Wood Floors in Cleveland Today! Our goal is to offer premier hardwood floor refinishing in Beachwood, OH, while keeping the environment safe. Fabulous Floors Cleveland is GREENGUARD certified. This means we follow environmentally friendly guidelines when it comes to our products and equipment. Our technicians take responsibility for the precautionary measures that are included in our system to help minimize the dust created. 1. The first step is to deep sand your hardwood floors. After this process, we remove any existing stains, dents, and deep scratches. We will even sand by hand any problem areas if needed. 2. Next, our technicians will apply the stain color you chose on your hardwood floors. Take a look at our list of stain colors to see what options we have that can match your current decor style. 3. The last step is to apply a thin coat of polyurethane to your floors. Polyurethane has several benefits, including providing a shiny, crisp look to your floors and also protecting them against future scratches, wear, and other damage.